Photographing subjects that can be seen is challenging enough, photographing moving unpredictable or unseen subjects is downright hard. Canon Explorer of Light Ken Sklute will share with you his recent journeys to capture the elusive Aurora Borealis and other difficult subjects like Lava, lightning and other hard to see subjects that he is known for. 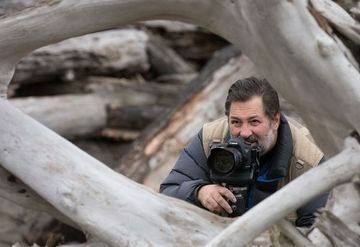 Ken will share techniques and stories about preparation and execution of capturing beautiful images of our natural world. You will be entertained and educated in this premiere showing of much of this imagery. It is a program that will leave you talking and longing to create your own amazing images.